Slow growth is still growth. It was a 1-2 punch to bookend the week at the 2016 Craft Brewers Conference in Philadelphia. Reading Jim Koch’s new book on the flight out to Philly, I noticed that the 90s and early 00s were slim times for the 32-year-old Boston Beer Company, the home of Sam Adams beers. But the craft beer giant didn’t stay the course. 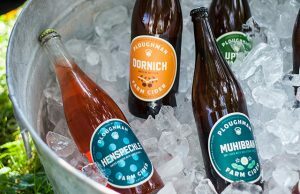 Koch and his team delved into new beers, new projects. It was all a part of Jim’s “String Theory” where you make more with less. His plan failed at times but eventually the brewery rode the craft beer wave back to larger growth. That was my Tuesday reading. 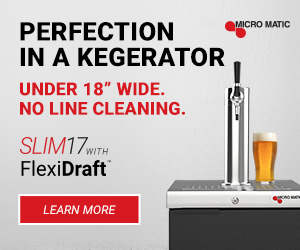 On Thursday, it was announced that the craft beer segment had grown to 12.2 percent of the volume in America. 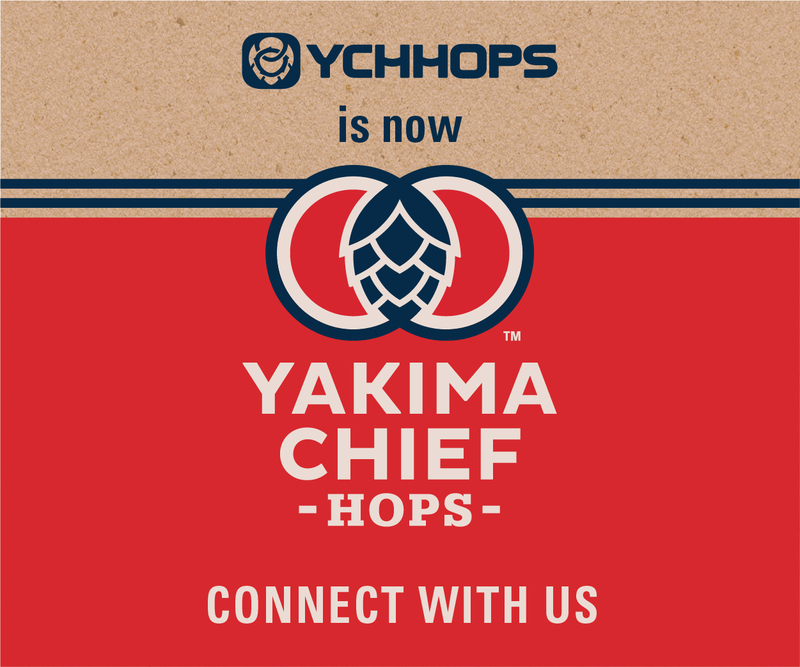 It was an increase of 1.2 percent from the numbers released a year ago, but the leap forward didn’t seem to be as celebrated as it was at CBC in Portland when the number had leaped from 7.8 percent in 2013 to 11 percent in 2014, kicking off a campaign that touted that craft beer should have 20 percent of the country’s volume by 2020. The clock was ticking as 2016 opened. 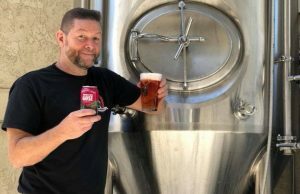 But 2015 was the year of movement in the craft segment, as acquisitions, mergers and ESOPs poured in, spoiling a possible shot as big beer made its move. 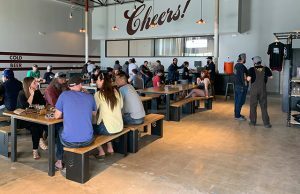 The Brewers Association stuck to its guns in a news conference last week and reiterated that craft beer is independently owned while sales to private equity firms do not change what it believes craft is all about. The difference wasn’t the money, but access to markets and materials. While adjusting the Top 50 craft volume list to eliminate or point out breweries that have been picked up by mega breweries, the numbers shifted slightly and it will probably be the same when the 2016 list comes out in about a year as other breweries not considered craft fall to the side. 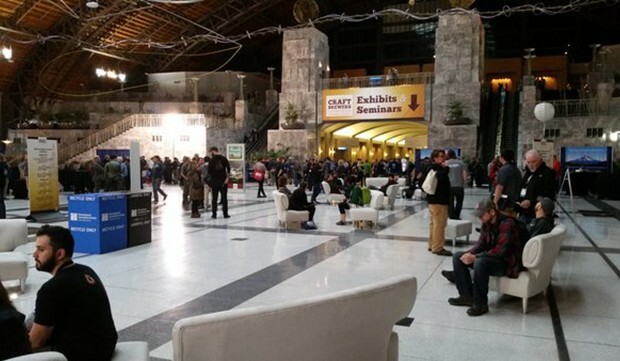 Still, 12.2 percent of the market is a gain regardless of how it’s defined and the sheer volume of people in the industry showed itself in Philadelphia as more than 13,000 people attended the event and 800-plus vendors took to the expansive Pennsylvania Convention Center. Although I was told that there are only 15 cities now in the U.S. that can host a CBC anymore (with Portland’s Oregon Convention Center being called “a tin can” that won’t be returned to), the city blocks of space to host this year really gave some of the heftier of a brew team some steps on their pedometer. Who knew a CBC could be a weight-loss initiative? 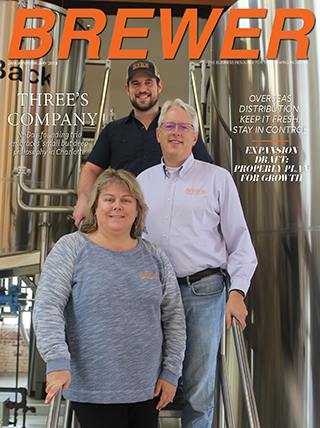 The numbers announced last week showed a large increase for smaller microbrewers and you can tell the CBC caters to that segment of brewer to help strengthen the latest group of professionals to the industry. A veteran of the industry quipped that he used to be able to walk into a CBC and see all his friends. If he didn’t know someone, he was able to introduce himself and make new friends. Now, getting to know everyone would be impossible. Another brewer said he wished there had been more “meat” to some of the seminars instead of being a “how to run a brewery 101” session. Despite some observations that steer toward the negative, the CBC is still a major positive when it comes to networking and face-to-face communication. This is the part that still helps a community build: from sharing beers with local breweries at the Philadelphia Museum of Art to scheduled interviews on the trade show floor, to chance encounters in the hallway with a semi-familiar face, it’s worth the time (and foot pain) to make the yearly trek to the CBC.